but a very common ABS 8vo edition. 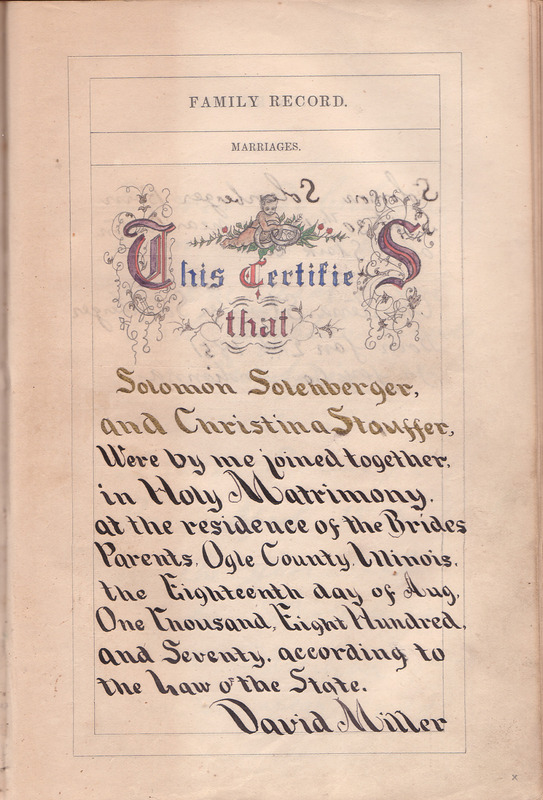 exactly this Bible ("Solomon Solenberger Bible, OH-IL"). 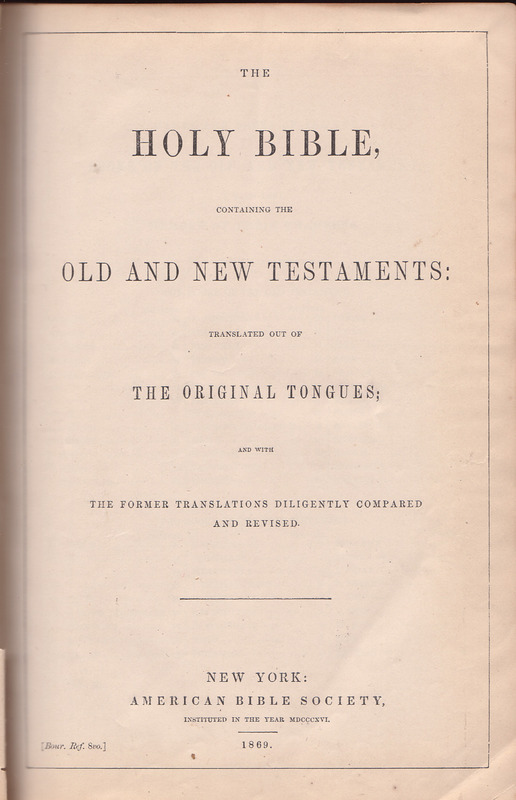 information about this Bible's history. with two flags crossing, one American. Stauffer, Were by me joined together, in Holy Matrimony. Mr. John D. Solenberger, 89, of 1300 Locust, died at 5:30 p.m. Tuesday (January 6, 2004) in Blessing Hospital. 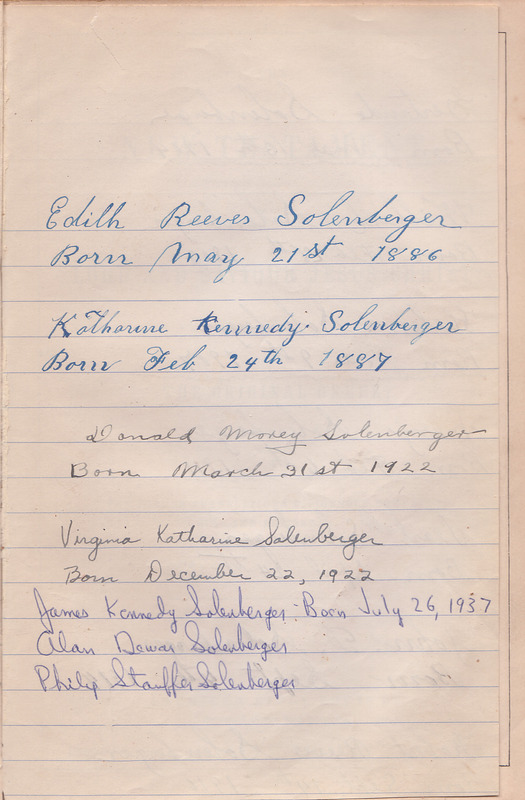 Born September 4, 1914 in Lansdowne, Pennsylvania, John was the son of John and Katherine Kennedy Solenberger. He married Dorothy Montgomery in 1936. He married Mary Elizabeth Gebler in 1951. She died in 1983. He married M. Elaine Shull on April 19, 1985 in Quincy. She survives. 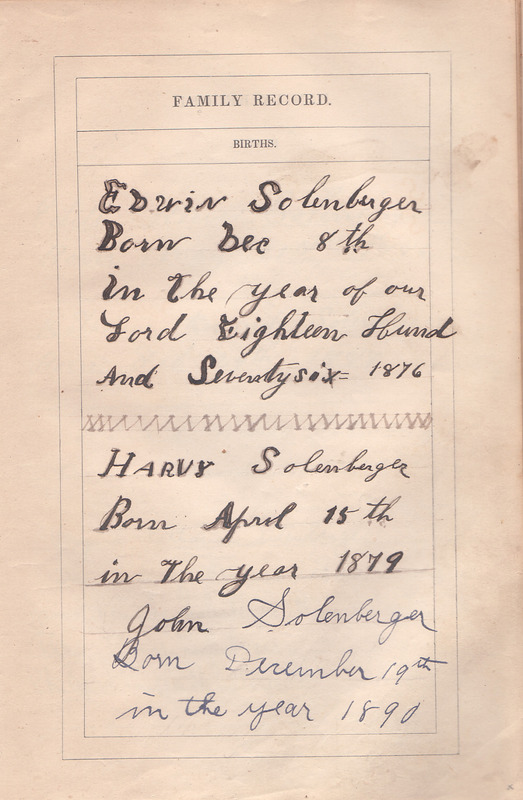 Mr. Solenberger was a member of First Presbyterian Church where he served as a Deacon. He was also a member of the Quincy Noon Optimist Club, Toastmasters Club, Lampe Hi Rise Kitchen Band, Volunteer Voices and was active with the Boy Scouts of America. He enjoyed driving and watching the eagles at the river. 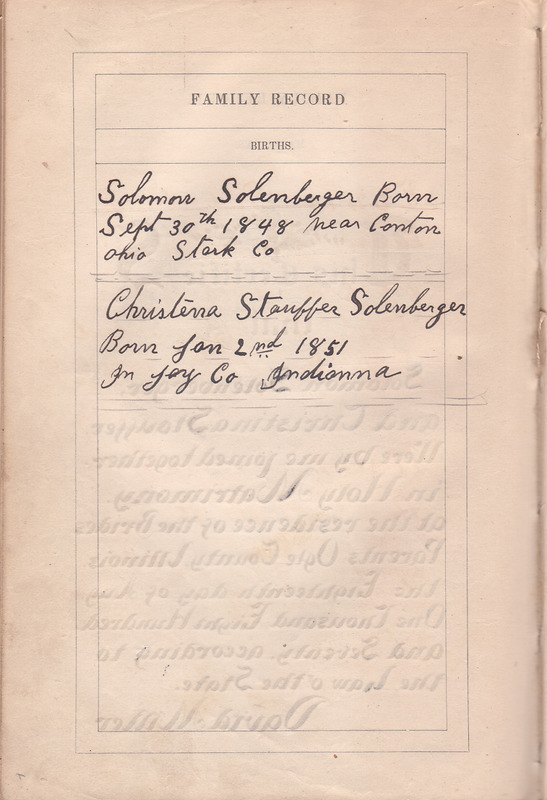 Mr.Solenberger received a B. S. Degree in Business in University of Pennsylvania. He was employed with the United Way for 34 years, serving as the Executive Director of the Adams County United Way from 1969 to 1979 and then was the Executive Director of the Adams County Senior Citizens Council until his retirement in 1985. Survivors include his wife, M.Elaine Solenberger; a daughter, Susanne Miller and her husband Andy of Geneva, IL. ; four sons, Alan D. Solenberger and his wife Sylvia of St.Petersburg, FL., Michael S. Solenberger and his wife Lisa of Aiken, S. C., Daniel J. Solenberger and his wife Nancy of Chesapeake, VA. and Phillip Crane; a step son, Terry Sanders of Quincy; 17 grandchildren, Amy Cathey, Sam Miller, Bryan Miller, Karie Smith, Ryan Sanders, Amy Courtouis, Alex Sanders, Matthew Solenberger, Christopher Solenberger, John Solenberger, Laurie Grant, Christine Walden, Brian Solenberger, Lisa Solenberger, Kathy Bullister, Scott Crane and Cheryl Bartran; 20 great grandchildren; a sister, Virginia Hickman of Brevard, N. C.; and several nieces and nephews. 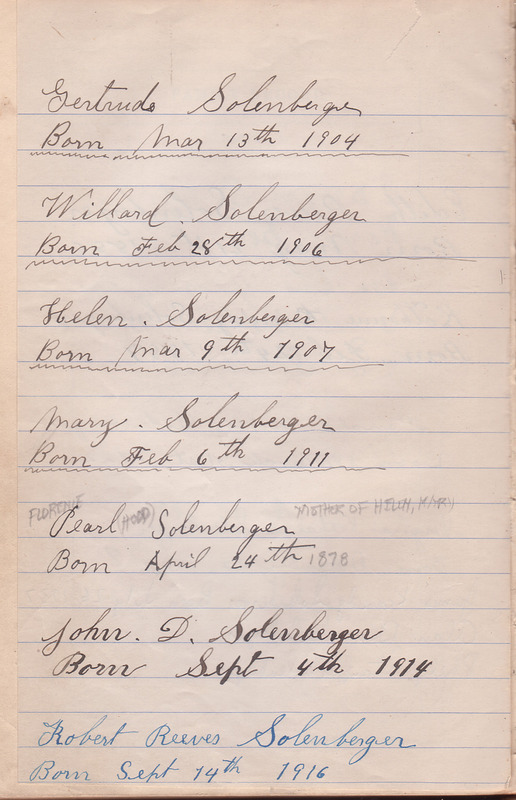 Mr. Solenberger was preceded in death by his parents; a wife, Mary Elizabeth; and a son, James K. Solenberger. Funeral services will be held Saturday afternoon at 1:00 in the First Presbyterian Church by the Rev. Rod Bakker. Burial will be in Greenmount Cemetery. Visitation will be Friday evening from 4:00 to 7:00 in the Zehender Robinson Stormer Cookson Funeral Home and Saturday from 12:00 Noon until the time of services at the First Presbyterian Church. Memorials may be made to First Presbyterian Church or the Boy Scouts of America.